Angolan independence in 1975, start of the Angolan Civil War. The Angolan War of Independence (1961–1974) began as an uprising against forced cotton cultivation, and became a multi-faction struggle for the control of Portugal's Overseas Province of Angola among three nationalist movements and a separatist movement. The war ended when a leftist military coup in Lisbon in April 1974 overthrew Portugal's Estado Novo regime, and the new regime immediately stopped all military action in the African colonies, declaring its intention to grant them independence without delay. It was a guerrilla war in which the Portuguese Armed Forces waged a counter-insurgency campaign against armed groups mostly dispersed across sparsely populated areas of the vast Angolan countryside. Many atrocities were committed by all forces involved in the conflict. In 1482, the Kingdom of Portugal's caravels, commanded by navigator Diogo Cão, arrived in the Kingdom of Kongo. Other expeditions followed, and close relations were soon established between the two kingdoms. The Portuguese brought firearms, many other technological advances, and a new religion, Christianity. In return, the King of the Congo offered slaves, ivory and minerals. Discoverer Paulo Dias de Novais founded Luanda in 1575 as São Paulo da Assunção de Loanda. Novais occupied a strip of land with a hundred families of colonists and four hundred soldiers, and established a fortified settlement. The Portuguese crown granted Luanda the status of city in 1605. Several other settlements, forts and ports were founded and maintained by the Portuguese. Benguela, a Portuguese fort from 1587, a town from 1617, was another important early settlement founded and ruled by Portugal. The early period of Portuguese incursion was punctuated by a series of wars, treaties and disputes with local African rulers, particularly Nzinga Mbandi, who resisted Portugal with great determination. The conquest of the territory of contemporary Angola started only in the 19th century and was not concluded before the 1920s. Angola had the status of a Portuguese colony from 1655 until the Assembly of the Republic passed a law giving all Portuguese colonies provincial status on 11 June 1951. The United Nations calling for Angola to be given protectorate status under UN supervision. In the 1950s a new wave of Portuguese settlement in all of Portuguese Africa, including the overseas province of Angola, was encouraged by the ruling government of António de Oliveira Salazar. A new law passed in the Portuguese Assembleia da República giving all Portuguese colonies provincial status on 11 June 1951. By this law the Portuguese territory of Angola started to be officially called Província de Angola – Province of Angola. In 1953 Angolan separatists founded the Party of the United Struggle for Africans in Angola (PLUA), the first political party to advocate Angolan independence from Portugal. In 1954, Congolese-Angolan nationalists formed the Union of Peoples of Northern Angola, which advocated the independence of the historical Kingdom of Congo, which included other territories outside the Portuguese overseas province of Angola. During 1955, Mário Pinto de Andrade and his brother Joaquim formed the Angolan Communist Party (PCA). In December 1956 PLUA merged with the PCA to form the Popular Movement for the Liberation of Angola (MPLA). 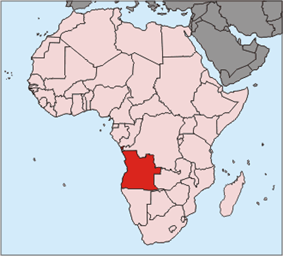 The MPLA, led by da Cruz, Mário Andrade, Ilidio Machado, and Lúcio Lara, derived support from the Ambundu and in Luanda. On 3 January 1961 Angolan peasants in the region of Baixa de Cassanje, Malanje, boycotted the Cotonang's cotton fields where they worked, demanding better working conditions and higher wages. Cotonang was a company owned by Portuguese, British and German investors. Challenging the authorities, the peasants burned their identification cards and attacked Portuguese traders. This was known as the Baixa de Cassanje revolt. By 4 January the Portuguese military responded to the rebellion by bombing villages in the area, allegedly using napalm, killing between 400 and 7,000 indigenous Africans. On 4 February, 50 independentist militants in Luanda stormed a police station and São Paulo prison, killing seven policemen. Forty of the MPLA attackers were killed, and none of the prisoners were freed. The government held a funeral for the deceased police officers on 5 February, during which the Portuguese citizens committed random acts of violence against the ethnic black majority living in Luanda's slums (musseques). Separatist militants attacked a second prison on 10 February and the Portuguese reaction was equally brutal. 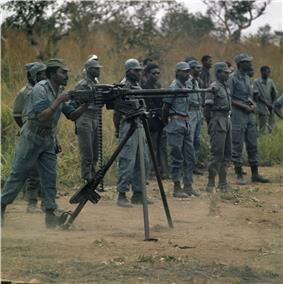 On 15 March, the Union of Peoples of Angola (UPA), under the leadership of Holden Roberto, launched an incursion into Angola from its base in Zaïre, leading 4000 to 5000 militants. His forces took farms, government outposts, and trading centers, killing officials and civilians, most of them Ovimbundu "contract workers" from the Central Highlands. The UPA entered northern Angola and proceeded to massacre the civilian population killing 1,000 whites and 6,000 blacks (women and children included of both white European and black African descent) through cross-border attacks – it was the start of the Portuguese Colonial War. The Portuguese regrouped and took control of Pedra Verde, the UPA's last base in northern Angola, on 20 September. In the first year of the war 20,000 to 30,000 Angolan civilians were killed by Portuguese forces and between 400,000 and 500,000 refugees went to Zaïre. UPA militants joined pro-independence refugees and continued to launch attacks from across the border in Zaïre, creating more refugees and terror among local communities. A UPA patrol took 21 MPLA militants prisoner and then executed them on 9 October 1961 in the Ferreira incident, sparking further violence between the two groups. The United Nations Security Council adopted Resolution 163, calling on Portugal to desist from repressive measures against the Angolan people. Roberto merged the UPA with the Democratic Party of Angola to form the National Liberation Front of Angola (FNLA) in March 1962. A few weeks later he established the Revolutionary Government of Angola in Exile (GRAE) on 27 March, appointing Jonas Savimbi to the position of Foreign Minister. Roberto established a political alliance with Zairian President Mobutu Sese Seko by divorcing his wife and marrying a woman from Mobutu's wife's village. Roberto visited Israel and received aid from the Israeli government from 1963 to 1969. National liberation of the entire colony. No foreign military bases in Angola. Savimbi left the FNLA in 1964 and founded UNITA in response to Roberto's unwillingness to spread the war outside the traditional Kingdom of Kongo. Neto met Marxist leader Che Guevara in 1965 and soon received funding from the governments of Cuba, German Democratic Republic, and the Soviet Union. In May 1966 Daniel Chipenda, then a member of MPLA, established the Eastern Front, significantly expanding the MPLA's reach in Angola. When the EF collapsed, Chipenda and Neto each blamed the other's factions. UNITA carried out its first attack on 25 December 1966, preventing trains from passing through the Benguela railway at Teixeira de Sousa on the border with Zambia. UNITA derailed the railway twice in 1967, angering the Zambian government, which exported copper through the railway. President Kenneth Kaunda responded by kicking UNITA's 500 fighters out of Zambia. Savimbi moved to Cairo, Egypt, where he lived for a year. He secretly entered Angola through Zambia and worked with the Portuguese military against the MPLA. UNITA had its main base in distant south-eastern Angolan provinces, where the Portuguese and FNLA influence were for all practical purposes very low, and where there was no guerrilla war at all. UNITA was from the beginning far better organized and disciplined than either the MPLA or the FNLA. Its fighters also showed a much better understanding of guerrilla operations. They were especially active along the Benguela railway, repeatedly causing damage to the Portuguese, and to the Republic of Congo and Zambia, both of which used the railway for transportation of their exports to Angolan ports. 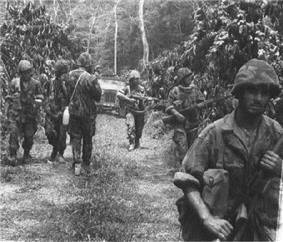 During the late 1960s the FNLA and MPLA fought each other as much as they did the Portuguese, with MPLA forces assisting the Portuguese in finding FNLA hideouts. From 1900 to the early 1950s the Portuguese maintained a separate colonial army in their African possessions, consisting mainly of a limited number of companhias indígenas (native companies). Officers and senior NCOs were seconded from the metropolitan army, while junior NCOs were mainly drawn from Portuguese settlers resident in the overseas territories. The rank and file were a mixture of black African volunteers and white conscripts from the settler community doing their obligatory military service. Black assimilados were in theory also liable to conscription but in practice only a limited number were called on to serve. With the change in official status of the African territories from colonies to overseas provinces in 1951, the colonial army lost its separate status and was integrated into the regular forces of Portugal itself. The basis of recruitment for the overseas units remained essentially unchanged. According to the Mozambican historian João Paulo Borges Coelho, the Portuguese colonial army was segregated along terms of race and ethnicity. Until 1960, there were three classes of soldiers: commissioned soldiers (European and African whites), overseas soldiers (black African assimilados or civilizados), and native soldiers (Africans who were part of the indigenato regime). These categories were renamed to 1st, 2nd and 3rd class in 1960 – which effectively corresponded to the same classification. Later, although skin colour ceased to be an official discrimination, in practice the system changed little – although from the late 1960s onward blacks were admitted as ensigns (alferes), the lowest rank in the hierarchy of commissioned officers. Numerically, black soldiers never amounted to more than 41% of the Colonial army, rising from just 18% at the outbreak of the war. Coelho noted that perceptions of African soldiers varied a good deal among senior Portuguese commanders during the conflict in Angola, Guinea and Mozambique. General Costa Gomes, perhaps the most successful counterinsurgency commander, sought good relations with local civilians and employed African units within the framework of an organized counter-insurgency plan. General Spínola, by contrast, appealed for a more political and psycho-social use of African soldiers. General Kaúlza, the most conservative of the three, feared African forces outside his strict control and seems not to have progressed beyond his initial racist perception of the Africans as inferior beings. Native African troops, although widely deployed, were initially employed in subordinate roles as enlisted troops or noncommissioned officers. As the war went on, an increasing number of native Angolans rose to positions of command, though of junior rank. After 500 years of colonial rule, Portugal had failed to produce any native black governors, headmasters, police inspectors, or professors; it had also failed to produce a single commander of senior commissioned rank in the overseas Army. Here Portuguese colonial administrators fell victim to the legacy of their own discriminatory and limited policies in education, which largely barred indigenous Angolans from an equal and adequate education until well after the outbreak of the insurgency. By the early 1970s, the Portuguese authorities had fully perceived these flaws as wrong and contrary to their overseas ambitions in Portuguese Africa, and willingly accepted a true color blindness policy with more spending in education and training opportunities, which started to produce a larger number of black high ranked professionals, including military personnel. The MPLA began forming Frente Leste). Neto, defeated, retreated with 800 militants to the Republic of the Congo. Differing factions in the MPLA then jockeyed for power, until the Soviet Union allied with the Chipenda faction. On 17 March 1,000 FNLA fighters mutinied in Kinkuzu, but the Zairian army put down the rebellion on behalf of Roberto. In 1973 Chipenda left the MPLA, founding the Eastern Revolt with 1,500 former MPLA followers. Tanzanian President Julius Nyerere convinced the People's Republic of China, which had begun funding the MPLA in 1970, to ally with the FNLA against the MPLA in 1973. Roberto visited the PRC in December and secured Chinese support. The Soviet Union cut off aid to the MPLA completely in 1974 when Revolta Activa split off from the mainstream MPLA. In November the Soviet Union resumed aid to the MPLA after Neto reasserted his leadership. The combined forces of the MPLA, the UNITA, and the FNLA succeeded in their rebellion not because of their success in battle, but because of the Carnation Revolution of 25 April 1974, which ended the Portuguese Colonial War and led to the independence of the Portuguese overseas territories. The MFA overthrew the Lisbon government in protest against the authoritarian political regime and the ongoing African colonial wars, specially the particularly demanding conflict in Portuguese Guinea. The revolutionary Portuguese government removed the remaining elements of its colonial forces and agreed to a quick handover of power to the nationalist African movements. This put an immediate end to the independence war against Portugal, but opened the door for a bitter armed conflict among the independentist forces and their respectives allies. Holden Roberto, Agostinho Neto, and Jonas Savimbi met in Bukavu, Zaire in July and agreed to negotiate with the Portuguese as one political entity, but afterwards the fight broke out again. The three party leaders met again in Mombasa, Kenya on 5 January 1975 and agreed to stop fighting each other, further outlining constitutional negotiations with the Portuguese. They met for a third time, with Portuguese government officials, in Alvor, Portugal from 10 till 15 January. They signed on 15 January what became known as the Alvor Agreement, granting Angola independence on 11 November and establishing a transitional government. The agreement ended the war for independence while marking the transition to civil war. The Front for the Liberation of the Enclave of Cabinda (FLEC) and Eastern Revolt never signed the agreement as they were excluded from negotiations. The coalition government established by the Alvor Agreement soon fell as nationalist factions, doubting one another's commitment to the peace process, tried to take control of the colony by force. The parties agreed to hold the first assembly elections in October 1975. From 31 January until independence a transitional government consisting of the Portuguese High Commissioner Rosa Coutinho and a Prime Ministerial Council would rule. The PMC consisted of three representatives, one from each Angolan party, and a rotating premiership among the representatives. Every decision required two-thirds majority support. The twelve ministries were divided equally among the Angolan parties and the Portuguese government: three ministries for each party. Author Witney Wright Schneidman criticized this provision in Engaging Africa: Washington and the Fall of Portugal's Colonial Empire for ensuring a "virtual paralysis in executive authority". The Bureau of Intelligence and Research cautioned that an excessive desire to preserve the balance of power in the agreement hurt the transitional Angolan government's ability to function. The Portuguese government's main goal in negotiations was preventing the mass emigration of white Angolans. Paradoxically, the agreement only allowed the MPLA, FNLA, and UNITA to nominate candidates to the first assembly elections, deliberately disenfranchising Bakongo, Cabindans, and whites. The Portuguese reasoned that white Angolans would have to join the separatist movements and the separatists would have to moderate their platforms to expand their political bases. The agreement called for the integration of the militant wings of the Angolan parties into a new military, the Angolan Defense Forces. The ADF would have 48,000 active personnel, made up of 24,000 Portuguese and 8,000 MPLA, FNLA, and UNITA fighters respectively. Each party maintained separate barracks and outposts. Every military decision required the unanimous consent of each party's headquarters and the joint military command. 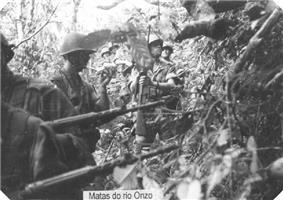 The Portuguese forces lacked equipment and commitment to the cause, while Angolan nationalists were antagonistic of each other and lacked training. The treaty, to which the Front for the Liberation of the Enclave of Cabinda (FLEC) never agreed, described Cabinda as an "integral and inalienable part of Angola". Separatists viewed the agreement as a violation of Cabindan right to self-determination. All three parties soon had forces greater in number than the Portuguese, endangering the colonial power's ability to keep the peace. Factional fighting renewed, reaching new heights as foreign supplies of arms increased. In February the Cuban government warned the Kenyan President Jomo Kenyatta with the three leaders in Nakuru, Kenya in June. The Angolan leaders issued the Nakuru Declaration on 21 June, agreeing to abide by the provisions of the Alvor Agreement while acknowledging a mutual lack of trust which led to violence. In July fighting again broke out and the MPLA managed to force the FNLA out of Luanda; UNITA voluntarily withdrew from the capital to its stronghold in the south from where it also engaged in the struggle for the country. By August the MPLA had control of 11 of the 15 provincial capitals, including Cabina and Luanda. South African forces invaded Angola on 23 October 1975, covertly sending 1,500 to 2,000 troops from Namibia into southern Angola. FNLA-UNITA-South African forces took five provincial capitals, including Novo Redondo and Benguela in three weeks. 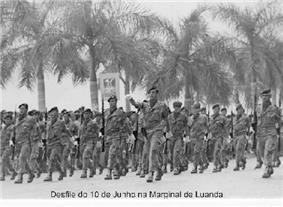 On 10 November the Portuguese left Angola. Cuban-MPLA forces defeated South African-FNLA forces, maintaining control over Luanda. On 11 November Neto declared the independence of the People's Republic of Angola. The FNLA and UNITA responded by proclaiming their own government based in Huambo. The South African Army retreated and, with the help of Cuban forces, the Angolan army retook most of the south in the beginning of 1976. Many analysts have blamed the transitional government in Portugal for the violence that followed the Alvor Agreement, criticizing the lack of concern about internal Angolan security, and the favoritism towards the MPLA. High Commissioner Coutinho, one of the seven leaders of the National Salvation Junta, openly gave Portuguese military equipment to MPLA forces. Edward Mulcahy, Acting Assistant Secretary of State for African Affairs in the United States State Department, told Tom Killoran, the U.S. Consul General in Angola, to congratulate the PMC rather than the FNLA and UNITA on their own and Coutinho for Portugal's "untiring and protracted efforts" at a peace agreement. Secretary of State Henry Kissinger considered any government involving the pro-Soviet, communist MPLA, to be unacceptable and President Gerald Ford oversaw heightened aid to the FNLA. The situation of the Portuguese in their overseas province of Angola soon became a matter of concern for a number of foreign powers particularly her military allies in NATO. The USA, for example, was concerned with the possibility of a Marxist regime being established in Luanda. That is why it started supplying weapons and ammunition to the UPA, which meanwhile grew considerably and merged with the Democratic Party of Angola to form the FNLA. The leaders of the FNLA were, however, not satisfied with the US support. Savimbi consequently established good connections with the People's Republic of China, from where even larger shipments started arriving. The USA granted the company Aero Associates, from Tucson, Arizona, the permission to sell seven Douglas B-26 Invader bombers to Portugal in early 1965, despite Portugal's concerns about their support for the Marxists from Cuba and the USSR. The aircraft were flown to Africa by John Richard Hawke – reportedly a former Royal Air Force-pilot – who on the start of one of the flights to Angola flew so low over the White House, that the United States Air Force forced him to land and he was arrested. In May 1965 Hawke was indicted for illegally selling arms and supporting the Portuguese, but was imprisoned for less than a year. The B-26s were not to see deployment in Angola until several years later. Aside from the USA, two other nations became involved in this war as well. These were Rhodesia (now Zimbabwe) and South Africa, both of which were ruled by the white minority. Their regimes were both concerned about their own future in the case of a Portuguese defeat. Rhodesia and South Africa initially limited their participation to shipments of arms and supplies. However, by 1968 the South Africans began providing Alouette III helicopters with crews to the Portuguese Air Force (FAP), and finally several companies of South African Defence Forces (SADF) infantry who were deployed in southern and central Angola. However, contemporary reports about them guarding the iron mines of Cassinga were never confirmed. Finally, there were reports that a number of Rhodesian pilots were recruited to fly FAP helicopters. However, when the first Portuguese unit was equipped with Aerospatiale Puma helicopters, in 1969, its crews were almost exclusively South Africans. Rhodesian pilots were considered too valuable by the Royal Rhodesian Air Force (RRAF) to be deployed in support of the Portuguese. The SADF has had pilots and helicopters operating out of the Centro Conjunto de Apoio Aéreo (CCAA – Joint Air Support Centre), setting up in Cuito Cuanavale during 1968. During the late 1960s the USSR also became involved in the war in Angola, albeit almost exclusively via the MPLA. While the FNLA received only very limited arms shipments from the USA, and the UNITA was getting hardly any support from outside the country, the Marxist MPLA developed very close relations with Moscow and was soon to start receiving significant shipments of arms via Tanzania and Zambia. In 1969 the MPLA agreed with the USSR that in exchange for arms and supplies delivered to it the Soviets would – upon independence – be granted rights for establishing military bases in the country. Consequently, by the early 1970s, the MPLA developed into the strongest Angolan anti-colonial movement and the most powerful political party. As soon as the agreement between the MPLA and Portugal for the transfer of power became known to the public, a mass exodus began. Over 300,000 people left Angola by November, most of them evacuated aboard TAP Boeing 707 aircraft. The British Royal Air Force also lent a hand, sending Vickers VC10 airliners to evacuate about 6,000 additional refugees. At this stage, the Angolan Civil War had started and spread out across the newly independent country. The devastating civil war lasted several decades and claimed a million lives and refugees in independent Angola. In the wake of the conflict, Angola faced deterioration in central planning, economic development and growth, security, education and health system issues. Like the other newly independent African territories involved in the Portuguese Colonial War, Angola's rank in the human development and GDP per capita world tables fell. After independence, economic and social recession, corruption, poverty, inequality and failed central planning eroded the initial post independence expectations. A level of economic development comparable to what had existed under Portuguese rule became a major goal for the governments of the independent territory. The sharp recession and the chaos in many areas of Angolan life eroded the initial impetus of nationalistic fervor. There were also eruptions of black racism in the former overseas province against white and mulatto Angolans. ^ The Soviet Union and Revolutionary Warfare: Principles, Practices, and Regional Comparisons, 1988, pp. 117–118. ^ Cuba: The International Dimension, 1990, pp. 155–157. ^ Cuba in the World, 1979, pp. 95–96. ^ Foreign Intervention in Africa: From the Cold War to the War on Terror, 2013, p. 81. ^ China and Africa: A Century of Engagement, 2012, p. 339. ^ Armed Forces and Modern Counter-insurgency, 1985, p. 140. ^ The Flawed Architect:Henry Kissinger and American Foreign Policy, 2004, p. 404. ^ Algeria: The Politics of a Socialist Revolution, 1970, p. 164. ^ Contested Power in Angola: 1840s to the Present, 2000, p. 167. ^ Warfare in Independent Africa, 2011, p. 70. ^ Violence in Southern Africa, 1997, p. 10. ^ War in Peace: Conventional and Guerrilla Warfare Since 1945. 1985, p. 154. ^ Government and politics in Africa, 1993, p. 180. ^ How Insurgencies End, 2010. p. 69. ^ a b Tom Hartman, A World Atlas of Military History 1945–1984. ^ John Marcum, The Angolan Revolution, vol. I, The Anatomy of an Explosion (1950–1962), vol. II, Exile Politics and Guerrilla Warfare, Cambridge/Mass. & London: MIT Press, 1969 and 1978, respectively. ^ For a critical and well sourced account of the 1961 events see Dalila Cabrita Mateus & Álvaro Mateus, Angola 61: Guerra Colonial, Causas e Consequências. O 4 de Fevereiro e o 15 de Março, Alfragide: Texto Editores, 2011. ^ George Childs Kohn, Dictionary of Wars (Facts on File, 1999). ^ Laidi, Zaki. The Superpowers and Africa: The Constraints of a Rivalry:1960–1990. Chicago: Univ. Of Chicago, 1990. ^ (Portuguese) Movimento das Forças Armadas (MFA). In Infopédia [Em linha]. Porto: Porto Editora, 2003–2009. [Consult. 2009-01-07]. Disponível na www: . ^ Mark D. Tooley, Praying for Marxism in Africa, FrontPageMagazine.com (Friday, 13 March 2009). ^ "Things are going well in Angola. They achieved good progress in their first year of independence. There's been a lot of building and they are developing health facilities. In 1976 they produced 80,000 tons of coffee. Transportation means are also being developed. Currently between 200,000 and 400,000 tons of coffee are still in warehouses. In our talks with [Angolan President Agostinho] Neto we stressed the absolute necessity of achieving a level of economic development comparable to what had existed under [Portuguese] colonialism. "; "There is also evidence of black racism in Angola. Some are using the hatred against the colonial masters for negative purposes. There are many mulattos and whites in Angola. Unfortunately, racist feelings are spreading very quickly." Castro's 1977 southern Africa tour: A report to Honecker, CNN.